You are here: Home / Movement For Life: Moving On Up! 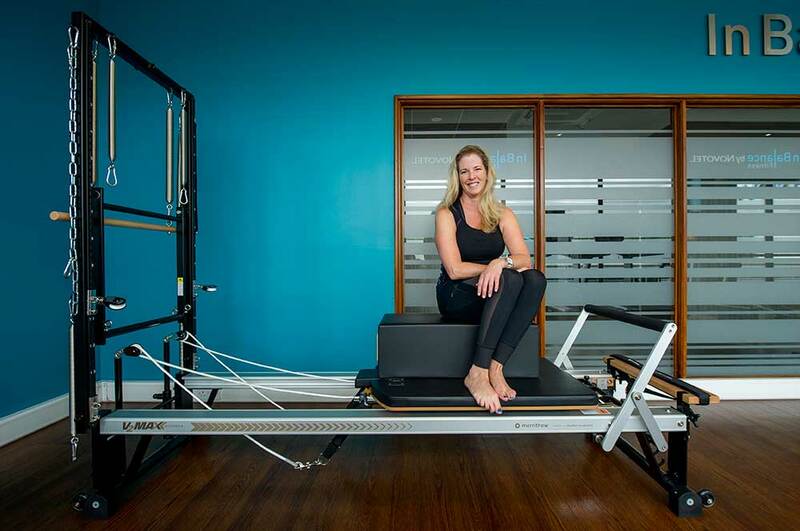 Specialising in corrective exercise and Pilates, Brook Green resident Susan Harker has developed a thriving practice based at Hammersmith’s Novotel London West Hotel. Susan passionately believes that movement is integral to good health – posture, core strength, toning, flexibility – and achieving a better quality of life. the positive impact of corrective exercise on the lives of two of her ‘regulars’, Betsy and Victoria. ‘When I met Betsy, she was suffering from lower back and hip pain, sciatica and had undergone a partial knee replacement. Betsy is the primary carer for her partner; she has to assist him with all sorts of tasks and this puts great demands on her body and, in particular, her back. I created a practical programme that used corrective movement patterns to strengthen Betsy’s core and enhance her posture and flexibility. This, in turn, made her feel more confident about her balance and coordination when helping her partner. ‘Getting fit is never easy but with a baby to look after, it can seem a distant goal. When I met Victoria her son was just eight months old and she was about to resume her highpressure City career. Victoria was feeling stiff and suffering from back pain. She had clearly defined goals which were, in essence, to get back to moving freely and doing all the things she loved. With limited free time, we trained at her home. Firstly, using my holistic training, I assessed Victoria’s lifestyle; this was essential if I was to understand the full picture and design an effective training regime.